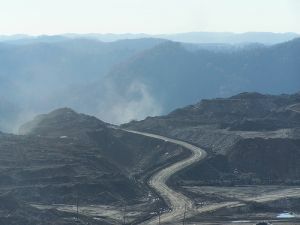 Activists from across Appalachia are in Wash­ing­ton, DC, this week to call atten­tion to moun­tain­top removal coal min­ing, the con­tro­ver­sial prac­tice of blow­ing up moun­tains to reach coal reserves. Appalachia Ris­ing par­tic­i­pants will march from the Envi­ron­men­tal Pro­tec­tion Agency head­quar­ters to the White House on Mon­day and hold a lob­by day Tues­day to call atten­tion to the prac­tice they say is destroy­ing their homes and com­mu­ni­ties. "The region's not going to sur­vive much longer if we don't do some­thing soon," says Dustin White of Charleston, W.Va., in town for this week's events. White, a 27-year-old with a crew cut and glass­es, is orginal­ly from James Creek, a com­mu­ni­ty of about 100 peo­ple on Cook Moun­tain in the south­west­ern part of West Vir­ginia. The moun­tain was named for one of his ances­tors, and many are buried near­by. Two months ago, Patri­ot Coal Cor­po­ra­tion, one of the largest min­ing com­pa­nies in the coun­try, told White's father, a for­mer coal min­er, that they would soon be blast­ing near his home. More. I'll be updat­ing my per­son­al pages here with some good stuff about the next book (I'm using FCAC as my main per­son­al site now, since I spend 80% of my time updat­ing here any­way) but as I said: see ya when NT 10.2 goes live.